Have You Seen the New Bosch Appliances? Bosch Home Appliances isn’t just a dishwasher company anymore, Bosch offers the entire Kitchen package. Depending on what you are looking for, Bosch has a solution. 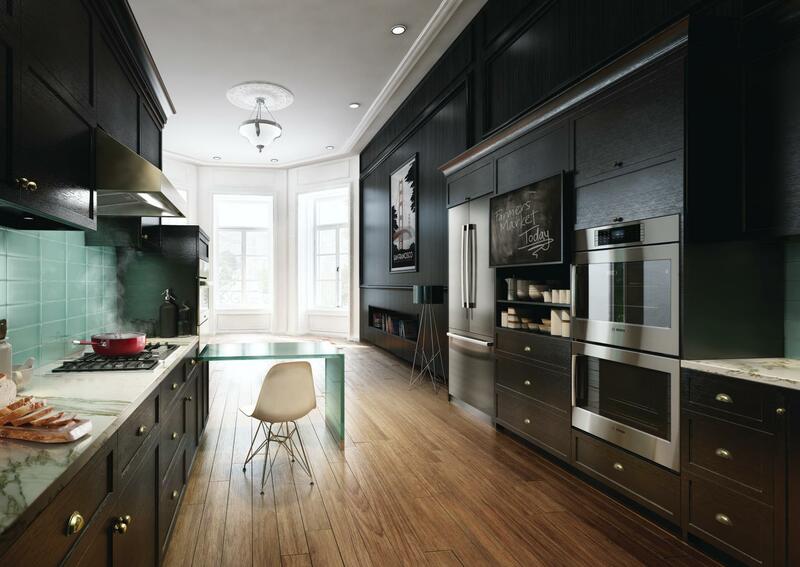 As the definitive European kitchen for the premium market, Bosch offers a sleek, streamlined look that complements sophisticated, modern, urban and traditional kitchen styles. Put simply, a Bosch kitchen elevates any home. With their heritage in quality German engineering, a Bosch kitchen is the precise balance of form and function. Bosch recently launched a Black Stainless Steel Kitchen. Black Stainless Steel has been a great alternative for people looking for something different from the classic stainless steel kitchen. Click here to see the 5 reasons to get a Black Stainless Steel kitchen set from Bosch. Bosch is not only synonymous with quality but it is well loved by home cooks and professional chefs (like Chef Curtis Stone of Top Chef and Take Home Chef fame). A Bosch kitchen really is a professional style kitchen for your home. With so many options, the appliances can be tailored to you and your cooking habits. Your local BrandSource store can help you navigate through all your questions and help you pick out the best appliances for your home. Come to your local BrandSource store and see what promotions are available.